1 rubs off 3 players. 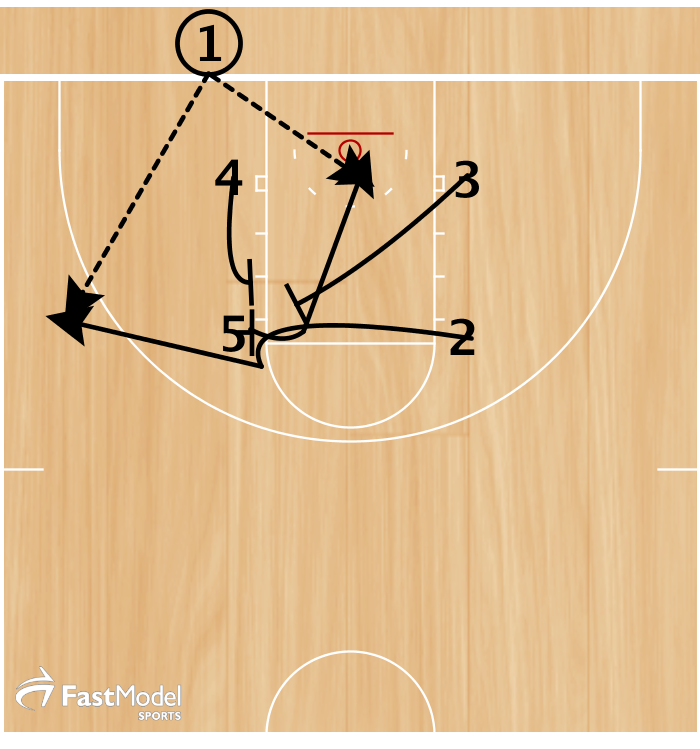 1 comes off 5's down screen. 4 makes an angle cut to get open. 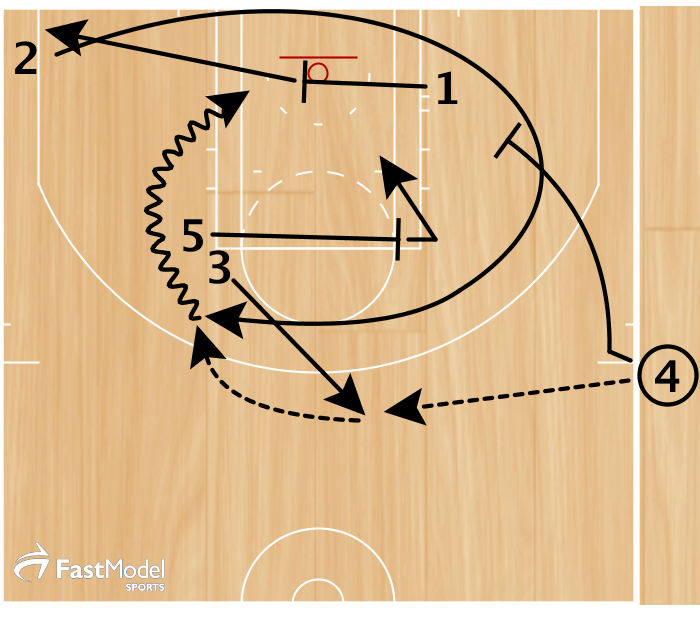 2 runs off a triple stagger screen as soon as 1 gets the hand off. 1 set a backscreen for 5 and then 4 screened in for 1. 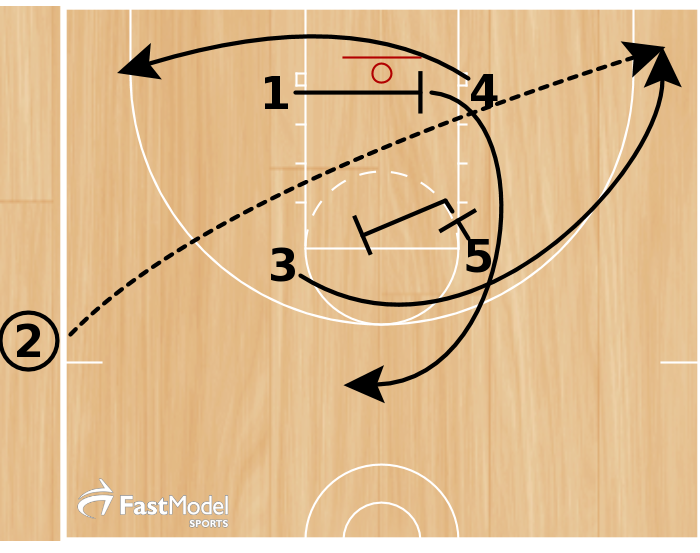 3 set a screen for 5 to loop under and post-up. 2 curled off a triple screen from 3, 5, and 4. 3 then wraps off 5 and 4. 4 then screens in trying to get a piece of X5 as 5 slips to the ball. 1. 4 cuts up to set a double stack screen with 5 for 2. 2. 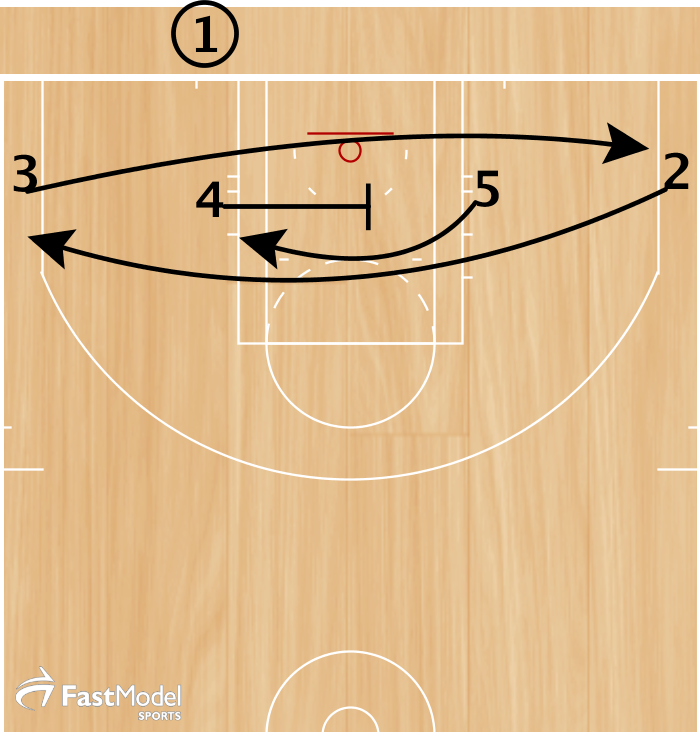 2 cuts off of 4 & 5's double stack screen to the wing. 3. 3 sets 5 a back screen as 2 cuts off of his screen. 5 dives to the rim. Option 2 - 1 passes to 5 for a lay up. 3 pop out and catches pass from 4. 2 (Ginobili) sprints off triple screens from 1, 4, & 5. 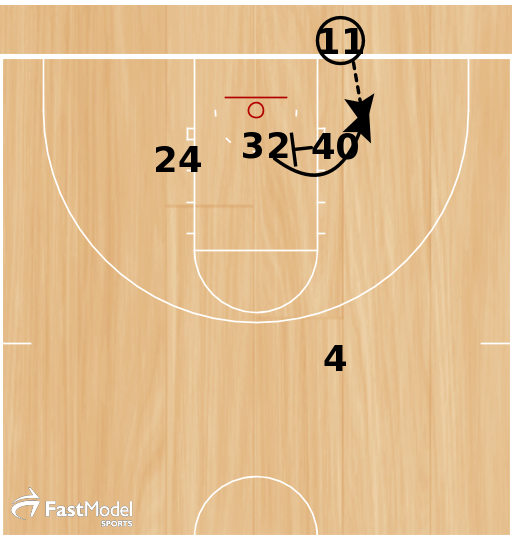 On the curl 3 passes to 2 who attacks the rim for a lay-up.